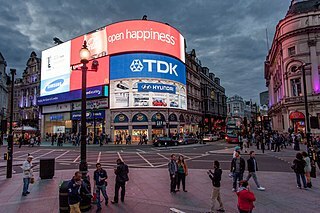 The West End of London refers to a distinct region of Central London, west of the City of London and north of the River Thames, in which many of the city's major tourist attractions, shops, businesses, government buildings and entertainment venues, including West End theatres, are concentrated. Mayfair is an affluent area in the West End of London towards the eastern edge of Hyde Park, in the City of Westminster, between Oxford Street, Regent Street, Piccadilly and Park Lane. 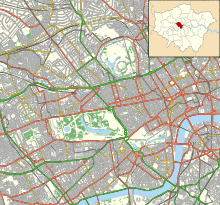 It is one of the most expensive districts in London and the world. Whitehall is a road in the City of Westminster, Central London, which forms the first part of the A3212 road from Trafalgar Square to Chelsea. It is the main thoroughfare running south from Trafalgar Square towards Parliament Square. 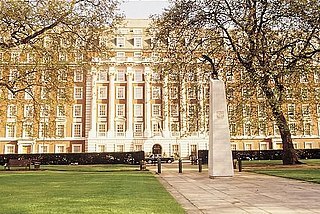 The street is recognised as the centre of the Government of the United Kingdom and is lined with numerous departments and ministries, including the Ministry of Defence, Horse Guards and the Cabinet Office. Consequently, the name 'Whitehall' is used as a metonym for the British civil service and government, and as the geographic name for the surrounding area. Chinatown is an ethnic enclave in the City of Westminster, London, bordering Soho to its north and west, Theatreland to the south and east. The enclave currently occupies the area in and around Gerrard Street. It contains a number of Chinese restaurants, bakeries, supermarkets, souvenir shops, and other Chinese-run businesses. The first Chinatown was located in Limehouse in the East End. Strand is a major thoroughfare in the City of Westminster, Central London. It runs just over 3⁄4 mile (1,200 m) from Trafalgar Square eastwards to Temple Bar, where the road becomes Fleet Street inside the City of London, and is part of the A4, a main road running west from inner London. 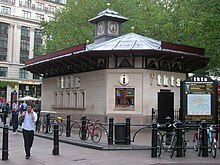 The Odeon, Leicester Square is a famous and prominent cinema building in London's West End. Built in the Art Deco style and completed in 1937 the building has been continually modernised to keep pace with developments in cinema technology; for example being the first Dolby Cinema in the United Kingdom. The cinema has been a favoured venue for many film premieres. The Odeon West End, from 1930 to 1988 known as Leicester Square Theatre, was a cinema on the south side of Leicester Square, London. It contained two screens—screen 1 seats 500 and screen 2 seats 832. It was often used for smaller film premieres, and hosted the annual BFI London Film Festival. The building is opposite the much larger flagship Odeon Leicester Square. Soho Square is a garden square in Soho, London owned until at least 1966 by the Portland family but which has since 1954 been de facto a public park leased by the Soho Square Garden Committee to Westminster City Council. It was originally called King Square after Charles II. Its statue of Charles II has stood since the square's 1681 founding except between 1875 and 1938; it is today well-weathered. By the time of the drawing of a keynote map of London in 1746 the newer name for the square had gained sway. During the summer, Soho Square hosts open-air free concerts. 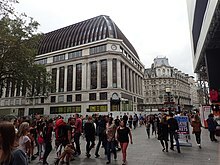 Coventry Street is a short street in the West End of London, connecting Piccadilly Circus to Leicester Square. Part of the street is a section of the A4, a major road through London. It is named after the politician Henry Coventry, secretary of state to Charles II.